These trips allow you to drive yourself to the location where you'll meet an expert leader for a three hour birding experience. These trips are affordable, fun, and allow you to travel with as much of your birding gear as you like, whatever music you like, all in the comfort of your own vehicle! Join a Biggest Week Guide and Toledo Zoo Staff for this exciting new partnership field trip. Start the morning off birding on zoo property along the Maumee River looking for migrants, gulls and possibly a lingering duck or two. Then the trip moves onto the zoo grounds to see what migrants might be using this interesting mix of natural habitat and simulated habitat exhibits. Zoo staff will discuss conservation efforts by the Toledo Zoo and an insider’s view of some avian exhibits will be offered. East Harbor is among the hidden jewels of lakefront birding hotspots. Its varied habitats include sandy beaches, sheltered bays, open waters of Lake Erie, marshes, shrubland, and swamp forest. Many rarities have been found, including Western Tanager and Magnificent Frigatebird. Songbird fallouts can be spectacular, with nearly every regularly occurring warbler appearing annually, and often in good numbers. The beach attracts a diversity of gulls and terns, including Great Black-backed Gull, Caspian and Forster's ​terns. Meeting Location: Parking area west of the bathroom. Look for the "Meet the Leader" sign. Howard Marsh is the newest addition to Toledo’s spectacular Metropark system. The multi-pool complex has dikes and a boardwalk which allow you to access virtually every part of the park. Any new marsh system along the Lake Erie shores is a boon to birders, but Howard Marsh exceeded expectations drawing in shorebirds including hundreds of migratory American Golden Plovers, nesting Black-necked Stilts and even a Wilson’s Phalarope. On this trip you may also find nesting Osprey, Horned Larks, Sandhill Cranes and a lingering duck or two. Common, Foresters, and if we are lucky, Black Terns may be seen along with Bonaparte’s Gulls. By popular demand, join our skilled leaders in exploring the rich array of habitat found throughout Maumee Bay State Park. 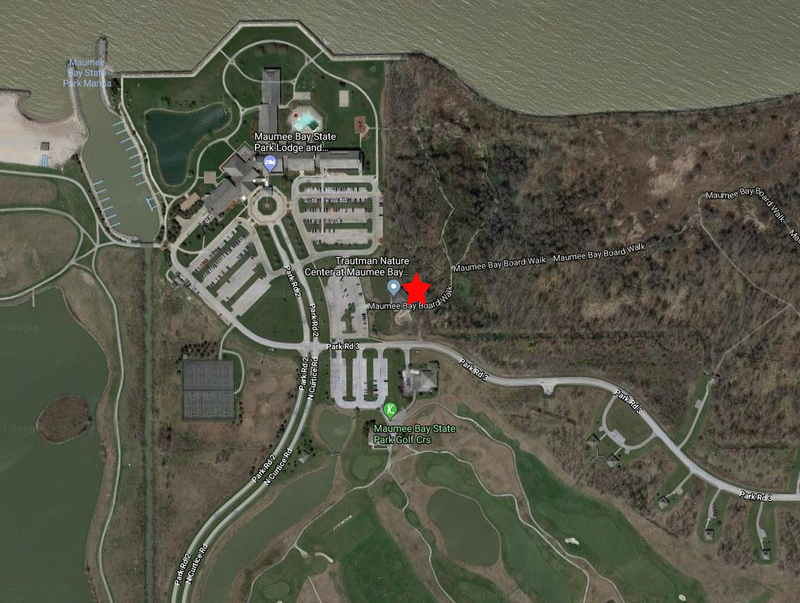 Even though The Biggest Week in American Birding is headquartered at the Maumee Bay Lodge, it's easy to miss out on some great birding opportunities in the rest of the park. Wetlands near the nature center are great for shorebirds and waterfowl, plus warblers and songbirds alike. In addition to marsh and swamp wetlands, several prairies and meadows add more diversity to the park's landscape. This park is a remnant patch of the formerly vast Great Black Swamp. About three miles of trails bisect the woodlands, and birding can be quite good during spring and fall migration. Typical forest-breeding species can be found in summer, including both cuckoos. A well-stocked feeding station at the nature center attracts lots of birds in the winter and is always worth a look. A recent 300-acre wetland restoration on the park's north side should become increasingly attractive to waterfowl and other wetland-dependent species. This 465-acre nature preserve is one of Lake Erie’s “hidden” jewels. Sheldon Marsh can rival just about any spot on the lakefront for numbers and diversity of birds. Spring and fall migration can bring scores of songbirds, including the possibility of all 37 species of warblers that occur annually in Ohio. A Birding Festival in Northwest Ohio: "The Warbler Capital of the World"